As per the same ranking, Pune featured among evolving business centres and nine emerging cities around the world, and was referred to a city which ‘hosts IT and automotive companies’. 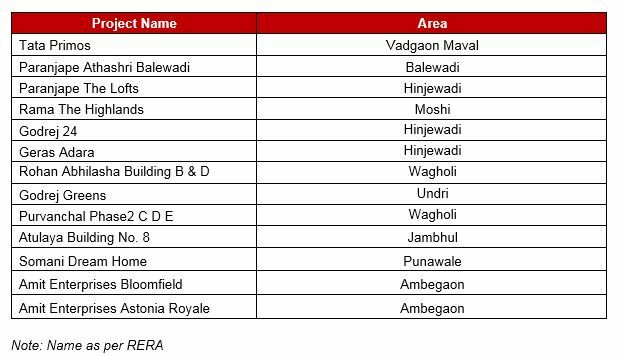 During the turmoil of the last one year, Pune stood out positively among India’s top cities in terms of impact on residential property prices. It performed better than all other major Indian cities. Other cities like NCR and the Mumbai Metropolitan Region (MMR) saw a 3-7% decline in average housing prices. 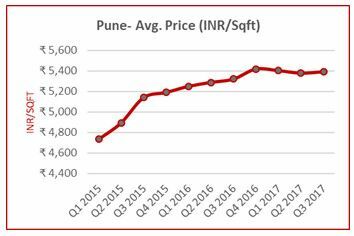 The average prices in Pune have remained stagnant or marginally corrected in only a few pockets. 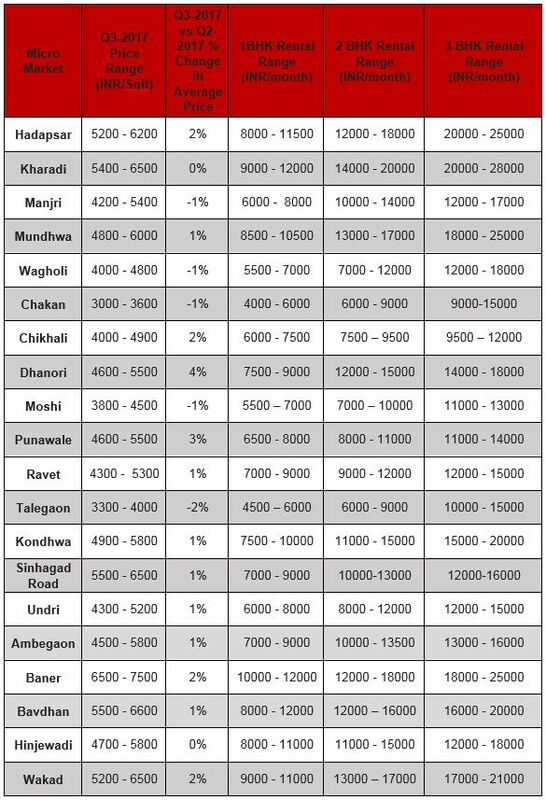 Average prices in the city now range between INR 5,200 to INR 5,500/sq.ft. Currently, around 1.92 lakh homes are under construction in the city and there are between 95,000 to 97,000 unsold units, constituting an inventory overhang for 35 to 38 months. Pune’s affordable housing segment (units priced below INR 40 lakh) predominated the new supply in Q3 2017, constituting 44% of the overall new supply. Q3-2017 ended with a lower rate of new launches and minor price appreciation as compared to the previous quarter. Sales continued to move southwards compared to Q3-2016. 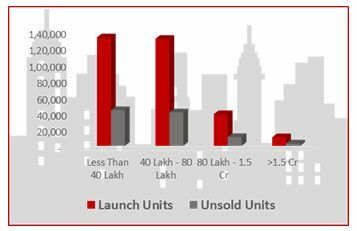 New launches in Pune declined by 80% in Q3-2017 as compared to the same period in 2016. 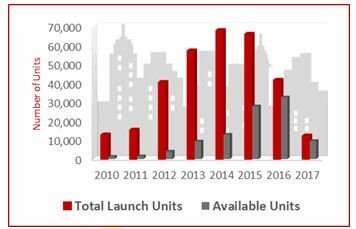 The rate of new launches will decline further, considering that the city’s developers are focusing on offloading their existing unsold inventory rather than launching new supply in the primary sales market. With restricted supply and stable demand, the first three quarters of 2017 witnessed higher absorption, resulting in Pune’s unsold inventory decreasing by 5% in Q3-2017 vis-à-vis Q2-2017. The city added around 3.11 lakh housing units between 2010 and Q3-2017. The majority of available supply in Pune’s primary market falls in the under-INR 40 lakh budget range, which is around 44% of total available inventory, followed by the INR 40 – 80 lakh (42%), INR 80 – 1.5 crore (11%), and below INR 1.5 crore (3%) budget ranges. 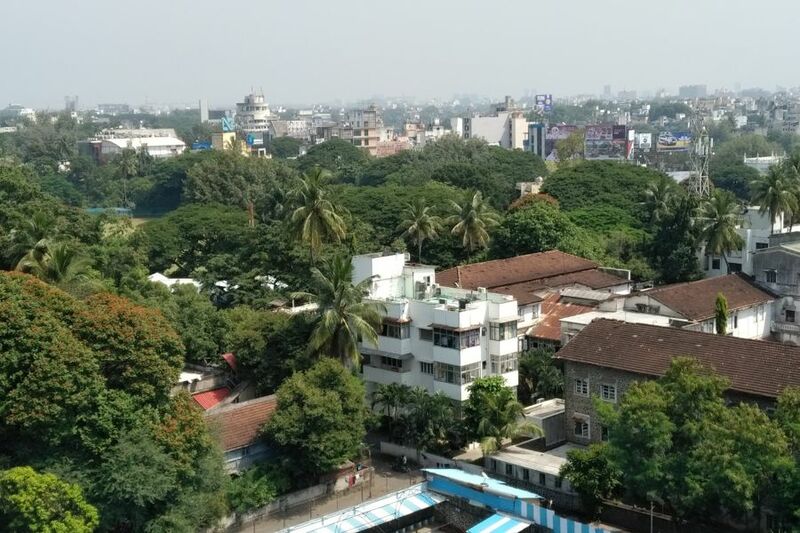 Along with the affordable housing segment, the mid-income housing segment in Pune has also witnessed a marginal increase in availability while demand maintained at status quo.